What is Stock Channeling or Channeling Stocks? “Channeling stocks” is a form of swing trading that can be thought of as ‘short-term value investing’. It involves buying a stock that has a strong historical tendency to move between a support and resistance level. You buy the stock near support and sell near resistance. We generally trade top stocks with rapidly improving fundamentals that are in an upward sloping channel on a long-term price chart. You then buy another channeling stock at another good technical entry point to do it again ( or wait for the same stock to go back down to its support level and begin to rise). The quicker the stock moves from its support level to its resistance the better. You can hold the stock for a day up to several months or more. With our techniques, you generally hold the stock for 2-4 weeks to achieve a gain of 5-30% or more. Typically, swing traders that use this technique are looking for at least a 10-15% range, i.e. the stock has moved upward an average of 10-15% before hitting resistance and moving back down in the past. What is the BBB online? The Better Business Bureau Online. We are proud members of the Better Business Bureau and have passed their strict membership qualifications in 2006 and currently hold their top A+ rating. We have been in business since November 2004 and intend to be here for the long-term. The BBB online program is a service for consumers to verify that we comply with the bureaus strict ethical business practice guidelines and resolve any consumer complaints filed with the bureau in a timely fashion. You can verify our membership by clicking the logo above or go to http://www.bbb.org. I work full time and do not want to give up my income. Will I Still See Results? One of the big advantages of our trading system and our swing trading strategies is that you can usually put in your orders to buy and sell after the market has closed for the day (unlike day trading) while still following the strategy rules for our main, longer-term swing trading system. Even top day traders will tell you that most traders will make more swing trading. The earnings eruptions strategy, high tight flag strategy and explosive bottoming strategy will require a little time during the day but MUCH less time than other strategies promoted on-line. Just a few minutes to place stop-loss and limit orders a few times per month which takes just a few minutes. The strategies are used on better quality stocks which gives you more peace of mind while trading. 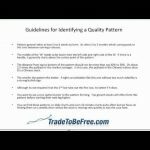 These strategies also cure one of the biggest problems most new traders have – over trading. Information you need to find the very best trading opportunities is available online at any time after work. You just need to know where to go to find the stocks, create the charts, find company information, etc and how to use this information. This is all explained in detail, step-by-step, in our swing trading ebook and training videos covering the other strategies. 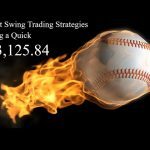 These strategies are primarily swing trading strategies where you hold top growth stocks and UPOD stocks for multiple days. Is there a guarantee that I won't lose any money? All stock trading systems and investing in general involves risk (see Policies). However, we have developed advanced, high percentage swing trading strategies utilizing powerful technical patterns and indicators and premium fundamental quantitative analysis for the current market – not 10 or 20 years ago. Our trading system shows you how to easily pick only the top companies in terms of earnings and outlook for your stock trading. This makes it MUCH less risky than trading penny stocks. The few penny stocks featured are those with the real, rapidly improving fundamentals and technical factors to support a higher price. These are very rare in most markets. We know of no one that can top our trading system as it involves the very best fundamental analysis techniques with top technical swing trading techniques to come up with a stock trading strategies capable of crushing the market with much less risk than trading penny stocks or options. Making money in the stock market is just like other businesses. The more time and effort you put into it, the more money you’ll make. Over-trading low quality stocks is one of the biggest problems that cause traders to be unsuccessful. One of the most important keys to success is to trade only the best stocks in the best long-term trends and technical patterns with a strong near-term catalyst in a market or industry trending in the direction of your trade. Also, its critical to review and learn from every trade to refine your strategy and execution to achieve a higher level of success. Can't I just swing trade myself without the service? Sure. But you need a proven swing trading strategy that has withstood the test of time and it will likely take you years of trial and error (and losses). Many failed swing trades could have been avoided if the trader would have waited for key technical factors to emerge (and its not just a regular bull flag pattern, MACD, bullish divergence, etc..) for a great stock and the overall market. Through years of trial and error we’ve figured out what technical indicators and formations work and which do not when swing trading. Most rolling stock/swing trading techniques found elsewhere on the web involve trading penny stocks which are generally very speculative and risky. Our techniques show you how to find the very best growth stocks and UPOD (under promise- over deliver on earnings reports) to trade. We also teach the best technical patterns that have led us to our most reliable strategies. How do I order 'off-line'? We accept checks and money orders for the quarterly and annual subscriptions and other training services. We ONLY accept checks for annual and quarterly alert subscriptions. Add $10 for shipping and handling and send the payment to the RTP address. We also accept PayPal which can be linked to a bank account or credit card account. Simply choose the PayPal option on the order page. I live in Canada, the UK, Australia, etc.. Do your techniques work in those markets? The strategies have been developed and used on US exchanges and are for US customers. However, these strategies may or may not work on other exchanges throughout the world. Can I pay for the Weekly Alert subscription using PayPal? Sure. We use the very popular, ultra-secure Paypal Pro and Payflo Pro merchant solutions for credit card subscription payments. However, those wishing to pay with a PayPal account can do so by clicking on the PayPal option during checkout. How do you screen for your stocks in your Stock Alert Services? We use sophisticated stock screeners to reduce the pool of thousands of stocks to about a hundred or so with the very best near-term earnings and growth fundamentals along with screening for the best price action. We then analyze each chart manually to find the very best technical setups. How we use various stock screeners is explained in detail in the PowerInvesting ebook. Why would you give away your stock picking secrets? Why not? We save you hundreds to thousands of hours per year in figuring out the best trading strategies for the current market on great growth stocks and UPOD stocks that present the best opportunities. The same ones we are eyeing in our own trading. There’s plenty of swing trading opportunities for everyone who wants to learn and these are more liquid stocks that are being accumulated by fund managers. So this is NOT a penny stock chat room (many are just sophisticated pump and dump operations). Instead we focus on quality stocks that are being accumulated by large institutions instead of being dumped immediately as with most stocks under $10. We also teach our stock picking secrets so you better understand our strategies before enrolling in our other alert service if you want to save your precious time in finding the best opportunities. Most people do not have the many hours per day necessary to find the next golden opportunity. You can let an expert do that for you with our services. I want to enroll in your alert service. Can I cancel at any time? Sure, recurring subscriptions to an alert service can be quickly and easily canceled on the subscription site. You would just click on the ‘My Account’ option within the alert website, click the cancel link and then click the cancel button. You will not be charged again from that point forward. If you ordered a discounted 1 year only subscription and chose the installment plan to pay for it, it cannot be cancelled since it does not renew and will cancel automatically after the 1 year ends. We suggest those that want to try the service choose the monthly or quarterly option before committing to an annual subscription. I would rather not have auto-recurring charges for the Alert. Can I turn this off? Auto-recurring subscriptions greatly reduce administration costs, allowing us to offer our service for less. However, you can simply cancel to prevent future charges. When you cancel, you will continue to have online subscription site access until the end of your current term. I had my password emailed to me and its not in the email. What do I do? Your password was not entered during the order process. Your password is set to a single space in this case. If you have any more questions, Please refer to our Contact page and send us a message.